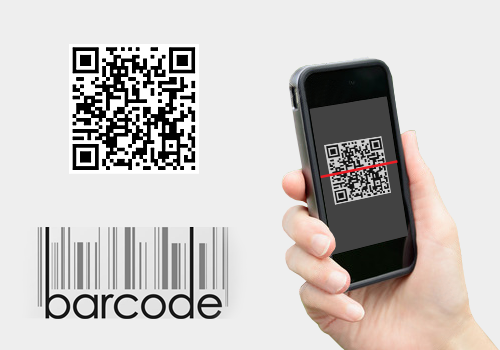 You may be wondering whether it’s better to use Barcodes or QR Codes for labeling assets. It all depends on the kind of functionality you want out of your asset labels. Below, we’ll take you through some of the trade-offs and best practices associated with both! Have been widely used for some time. Most assets come with manufacturer-issued Barcodes. A modern successor that is becoming increasingly popular. Greater data storage capacity, and support for multiple data types. Quick and reliable scanning for camera-based devices e.g. smartphones and tablets. EZRentOut recommends using QR Codes. You can use our Label Designer to generate and print QR Code based labels. These contain a secure URL which can be scanned with any mobile scanning app, instantly taking you to the asset’s detail page. As for barcodes, you can use both pre-existing ones or generate them anew using our Label Designer. To set up your system with barcodes, you’ll need to enter the Barcode’s sequence into the asset’s ‘Asset Identification Number’ (AIN) field. Please note that when using barcodes, asset look-up (via scanning) will only work with EZRentOut’s mobile app. This is why we believe QR codes offer a richer and more flexible solution to your asset labeling woes. You can download any QR Code scanning software for your mobile platform and it’ll integrate perfectly with our cloud-based offering! The difference in usability occurs because unlike a QR Code which contains a complete asset URL, a Barcode is just an alpha-numeric sequence. Therefore, the latter cannot be used to do a search with a third-party mobile app. Barcodes should be at least 1.5 x 0.5 inches. Make sure they work well with the smartphones you plan on using, as readability depends more on a device than the app itself. As a guideline, the taller the Barcode is, the easier it is to read. The minimum dimensions for a QR Code are 1 × 1 inch. Get a high print quality – the greater the DPI, the better. Most laser printers qualify. Color: Black on white is recommended. Use weather-proof materials for assets used outdoors or in rough conditions. You’ll need to enlist the services of a commercial vendor. EZRentOut can assist with vendor-coordination for printing formats! When using QR Codes, we recommend that you put your choice of asset ID (Asset# or AIN) on the label. This is a safeguard, similar to when Barcoded items have sequences printed under them in case a Barcode is not scannable. Here’s a comprehensive list of hardware recommendations for Barcode and QR code scanning of your items. * The section lists practices and recommendation which work for the majority of our customers. If you have a question that has not been addressed in this post, feel free to write to us at info@ezrentout.com. This entry was posted in [Support], barcode KB, Labels, QRCode by admin. Bookmark the permalink.